Your pit bull may be the light of your life, but if you want others to appreciate his prestigious background you'll need the proper papers. A pit bull's papers trace his lineage and show how good his breeding really is. 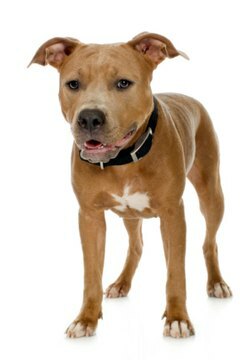 If the parents of your pit bull weren’t registered, then there is no way to get paperwork on him. A pit bull with paperwork and registration may be able to compete in dog shows, and his puppies will command a higher price from potential owners. Look through the paperwork that you received when you purchased your pit bull. You should have a registration certificate and may have a Dog Registration Application from the American Kennel Club. Contact your breeder if you did not receive paperwork at the time of purchase. Ask for a registration certificate. Ask if your dog is eligible for the American Kennel Club based on his pedigree. If he is, request an AKC Dog Registration Application. Register your dog with the American Kennel Club using the documents you obtained from your breeder. You can do this online by visiting the AKC website, AKC.org, and clicking on "Registration." Input information about your dog, his parents and yourself to get him registered and obtain paperwork for him. There is a fee for registering your dog with the AKC. Register your dog with other groups for additional paperwork. Organizations like the American Pit Bull Registry and the United Kennel Club will register your dog and provide you with paperwork showing that registration.